Sisters Meg, Jo and Amy have the perfect family--loving, creative parents; a comfortable life on Manhattan's Upper West Side; a future full of possibility. Perfect until the daughters discover their mother has had affair, and, even worse, that their father has forgiven her. Shattered by their parents' failure to live up to the moral standards and values of the family, the two younger sisters leave New York and move to Meg's apartment in New Haven, where Meg is a junior at Yale. It is here that the girls will form their own family, divorced from their parents. 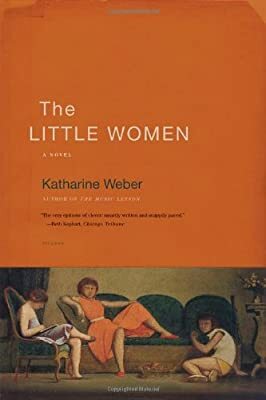 The Little Women is a chronicle of that year, wittily narrated as a novel written by the middle sister Jo and commented upon throughout by her sisters.